To me the word Webble first looked a lot like Plaskool Weeble toys that don’t fall over… but i guess in a way this new Webble makes YOU into that those in a way, as you sit and wobble to and fro in your desk chair. There are two models. 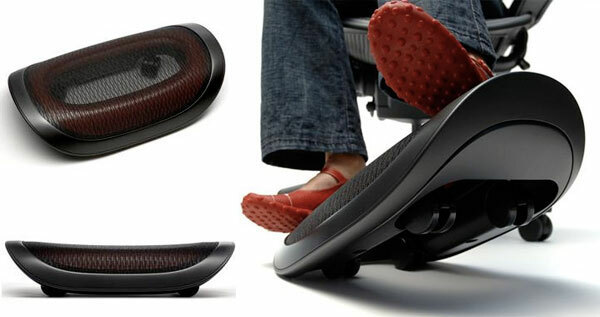 but i’m dying to give this Webble Air a try, because the amount i sit and work in my Think chair, its nice to move your feet a bit while thinking… is this the latest innovation in footrest technology? would it be good for airplanes too? It is launching June 11th at NeoCon 2007 in Chicago. Spotted this over at MocoLoco. any idea where to buy it?